One Team Dedicated to Care. We are a passionate, comprehensive, quality-driven dental practice that takes an integrative approach to your oral health care. We work hard to make your visits a pleasant and engaging experience where we listen first, then put your needs and your comfort above all else. We deeply care about excellence in dentistry and consider it our job to blend high touch care with proven technologies and beautiful aesthetics. Many of our current patients have been counting on us for their dental health since visiting Dr. Bassett in his first office in Aurora almost 50 years ago. Today we are proud to provide care to their children and grandchildren. We continue to be humbled by the trust our patients place in us. We invite you to experience the difference that our entire team’s passion can make in your dental care. Best dental staff EVER – everyone is friendly yet professional. Actually look FORWARD TO coming in. Kind, detailed oriented, and technologically advanced. This is the modern day dentist for the modern day world. First class dental practice in every way. I LOVE coming here. I can’t imagine ever going anywhere else for my dental care. Thanks so much for everything you all do! Dr. Taylor is hands-down the best dentist I have ever visited. Her exemplary skills are a true reflection of her meticulous attention to detail, her unequaled experience, and her love for people. It's like going to a lunch or social event with friends. I can't wait to catch up and visit, never even thinking I'm sitting in a dentist chair! I am so pleased with the amazing service and staff of your office. Everyone is so friendly and genuinely kind and thoughtful. I LOVE my new teeth and it was the best place to have my new smile created. Who would have thought I would love going to the dentist! It is a whole new world. You are a wonderful group. I have always been more than pleased with the care I have received. I have been coming to this dental group for years and I look forward to it every six months. You are truly caring, kind, and fun people and do EXCELLENT work. I wouldn’t go anywhere else. Dr. Taylor and Dr. Selner responded to my phone call the night before. Dr. Taylor made time in her schedule the next morning first thing and accommodated my work schedule by sending me out the door by 8:00. I can't begin to l explain how grateful I am to both Dr. Taylor and Dr. Selner, as well as the tech who worked on my problem both the first time I came into the office that morning, as well as when I came back later to pick up my retainer. Thank you so much! This is by far the best dental practice I have ever seen. Everyone is extremely pleasant and personable, and highly professional and knowledgeable. Whether you're seeing one of the dentists or one of the hygienists, everyone takes the time to explain in understandable detail whatever issues you are dealing with and what options for treatment there might be, And if a procedure is necessary, it will be executed in conformity with the highest standards. For the first time in my 68 years, I now actually look forward to my trip to the dentist. 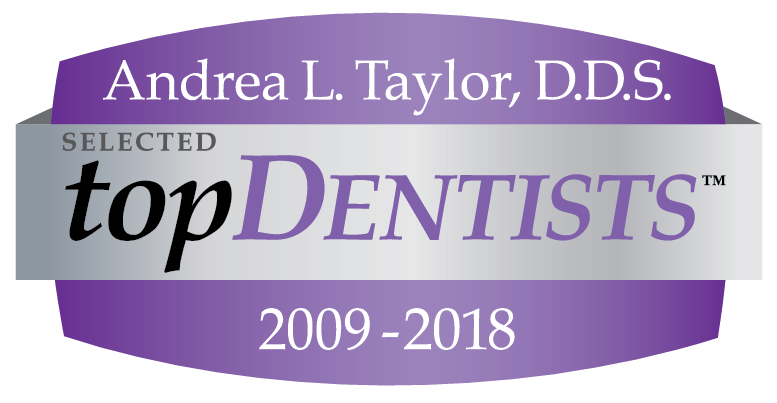 Dr. Taylor, Thank you so much for taking such good care of me & my tooth today... You are great; your skill & terrific “chairside” manner were much appreciated. Your office is the most relaxed, friendly and efficient place for dentistry. Everything (décor and equipment) is always up to date and state of the art. I don’t think I’ve ever met anyone there that wasn’t top notch and professional. Great practice. Have been with the practice since they were in Aurora. These folks are the dentists dentist. Have been going there since the early 80's. Actually I tell them I go there for the chapstick they give away which is partly true. I have been using this Dental service since 1967 and would not go elsewhere even though it is crosstown. The staff are friendly and efficient. They have saved my teeth and I expect to be buried with them intact. By far the most professional dentistry practice I’ve ever used. You are the best! I’ve been a patient since 1972 and think there is no better dental office and staff in the Denver metro area. Five stars are not enough!!! Best dental office staffed by the very best dentists/hygienists and office staff!!! Thanks so much for the extraordinary dental care that you have provided to us and to our family for so many years! You guys/gals are nothing less than SPECTACULAR!!!!!!! Please know that we LOVE YOU ALL!! I have had an amazing experience with you guys. After several “dud” dentists it’s a refreshing and positive experience going to your office. Best dentist practice I’ve ever experienced! This is the best dental practice I’ve ever been to. I will continue to have my dental work done here and recommend you to everyone! ...Under their care, I went from a guy who would try to tear the armrests off at the merest poke to a guy who can laugh and joke through a cleaning. My most recent visit was the highlight of my day, due in no small part to my hygienist, who is exceedingly gentle and has a wry sense of humor to boot. Dr. Selner is the most humble, down-to-earth dentist I have ever met. He will treat you with kindness from the bottom of his heart. Wonderful practice! We’ve always had great service, and would highly recommend your office to anyone looking for dental work. Great dentists and staff. I would describe my visit as visiting “The Tooth Spa.” From when I walked in the office, the serene relaxed setting and the warm welcome from the staff made it very pleasant. My experience with the hygienists was wonderful. The doctor’s explanation of things was very easy to understand and made so much sense. You have a very professional and friendly environment. Thank you.